It was like the 'good old days' all over again! Scott and I drove to Millican and left my van there, in case one or both of us flew over the back, then we drove to the launch we call Antelope. We gave it that name decades ago because it's not uncommon to see herds of antelope on that side of the Pine Mountain. On launch, the wind was the perfect direction and velocity, like a smooth summer breeze whispering in the trees. So we set up and launched. We boated around for over an hour, flying back and forth along the ridge. We maxed out a few hundred feet over launch in bits of instability embedded in the ridge life. Eventually I flew out front and landed, while Scott flew back to the mountain and then over the back, intending to fly straight to my van and land. But on the way, something totally unexpected happened. 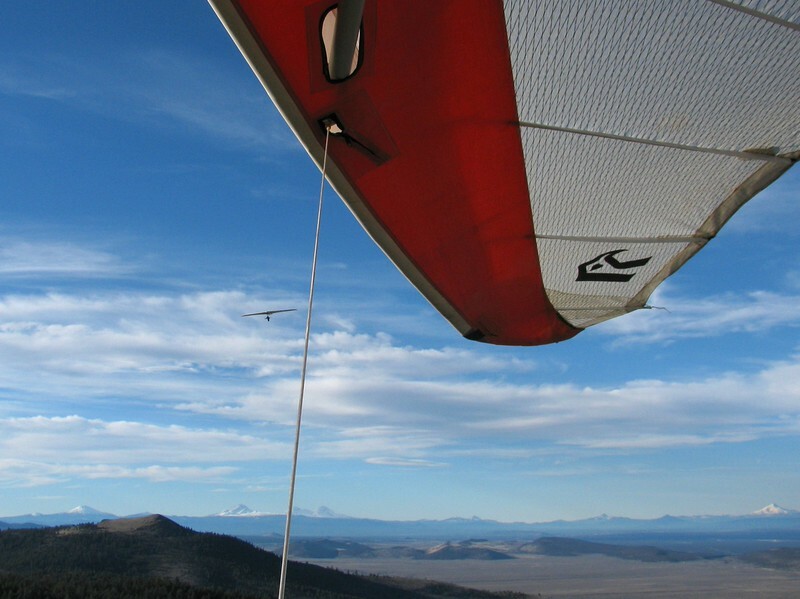 Instead of encountering turbulence of rotor on the downwind side of the mountain, about a mile back he ran into a big area of smooth, light lift, so he turned into the wind and slowed his airspeed. What he likely ran into was the bottom of a secondary wave. While facing south and staying almost directly over the same point on the ground, he went up like in an elevator in smooth strong lift, from 6000' to 10,5000'! After I landed and packed up, I hiked back to launch. On the way the up, three small herds of antelope pranced by. I drove down, met Scott at Millican right at sunset. He had just landed! He told me the story of his flight as we dove around the mountain to retrieve my hang glider. It was yet another wonderful day!